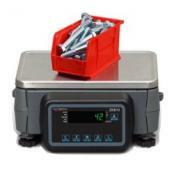 Industrial counting scales typically means that the item is built tough to handle the work load that a warehouse might throw at it. 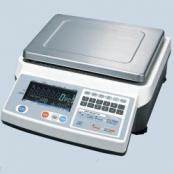 A good example of an industrial counting scale is the Pennsylvania 7600 series or the A&D FC-i series. All Pennsylvania Scale counting scales feature heavy duty cast construction, premium load cells, and bright LED display. Utilizing the PLUS+ series Main Board technology, these products are designed to be user-friendly and highly productive, provide long accurate service. 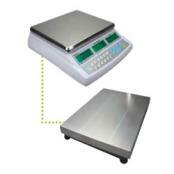 Pennsylvania Counting and Weighing scales and indicators are intentionally clean by design. 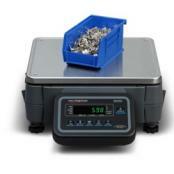 These 7000 Series products feature 1:16 million internal counts, with 10,000 displayed weight graduations. In our opinion, A&D builds a really good counting scale as well. In fact we have offered the FC-20K to our rental customers for years decades. 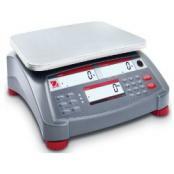 Rice Lake Counterpart Configurable Parts CountingUnlike traditional counting scales, Counterpart uses Rice Lake’s simple configuration method to adjust to the parameters and resolution of any attached scale base, whether a floor scale, bench scale, or laboratory balance. Setra Quick Count ScaleThe simple six key design allows the user to master scale operation in minutes, reducing training time and increasing productivity. 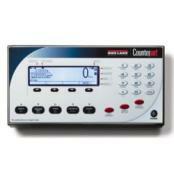 The Setra Quick Count displays any of six weighing units at the touch of a button. Overload and shock protection combined with an elegantly simple load cell design makes the Quick Count rugged, reliable, and accurate. 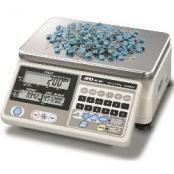 A&D Weighing HC-i Series Counting ScalesThe HC-i Series offer simple and easy operation in an affordable counting scale. A&D's exclusive Automatic Count Accuracy Improvement (ACAI) is standard along with Audible Weighing Assist (AWA). 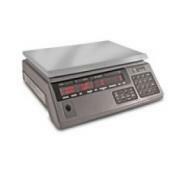 Digi DC-788 Industrial Counting ScaleThe DIGI DC-788 is an economical counting scale that continuously exceeds performance expectations. With a capacity of up to 100 pounds and an optional rechargeable battery that provides up to 24 hours of continuous usage. Adam CBD+ Counting Scale with Remote PlatformA single bundled solution at an unbeatable value for large counting applications. Parts counting with freely selectable sample sizes. 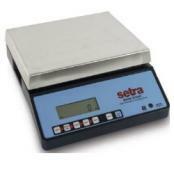 Weigh larger quantities on the included remote scale. Factory calibrated and easy to use. Parts counting optimization automatically refines piece weight as parts are added. Programmable for counting to a preset number of parts. One of the real interesting events that takes place every year is the challenge that a business faces when it comes to purchasing a scale to count parts on. As a business you really have several choices. You can purchase a scale from a material handling catalog. 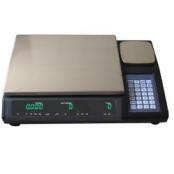 You can purchase a lower cost, mostly plastic electronic scale. Or you can buy a high end parts counter that we would refer to as "industrial tough". First we'll take a look at the material handling catalog. There are several issues with this. First, in most cases the catalog sales associate knows next to nothing about the scale. All they really know is the part number and the price. By the way, this can also be true on the material handling websites as well. 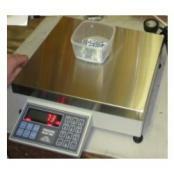 The scale construction is usually very cheap as well, with most of the product being made of plastic. Next, we'll look at the low cost option. Now these can work very well for some individuals. However, if you're in an industrial environment there is a good possibility that an employee might drop the scale or drop something on the scale etc... If that happens, the chances are the low cost option will not withstand the abuse. Finally, we have the industrial counting scale. In most cases these are made of a combination of cast iron and plastic. The cost is usually a bit higher but in most cases these scales can last for many years of service. So, which do you choose? 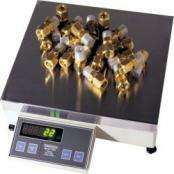 We have customers who have bought industrial scales over the years and we have customers who have chosen to go with low cost option. Both strategies do work, especially if the customer takes care of the low cost option and doesn't abuse it, but overall the customers who purchase the "industrial" scale tend to keep their scale(s) much longer and have better overall total cost of ownership. Contact us (919) 776-7737 and we can work with you to get the best scale for the money, whatever your particular situation is.